EBSCOhost, Explora, Consumer Health Complete, Small Business Reference Center, and Fold3 Footnote History & Genealogy Archives. These resources include specialty databases for students of all ages and for Spanish-language content. Access these from library computers with no login required. To view these resources from another location, contact the library for login information. Or visit Digital Prairie’s Research and Discovery. 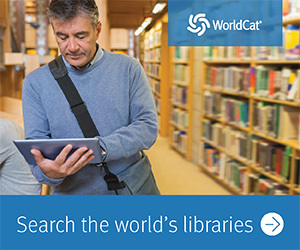 WorldCat – access the world’s largest bibliography! Find publication information about almost any book and view holdings for many of the world’s libraries. This resource can be accessed for free from any location with no login required.